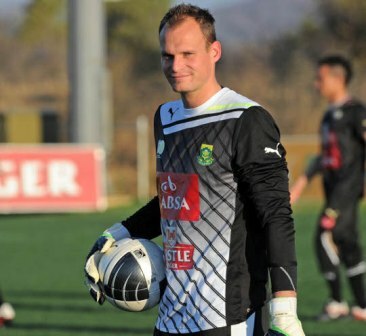 Sean Roberts is a very well-travelled goal keeper having plied his trade from England to Singapore and now back here in South Africa. 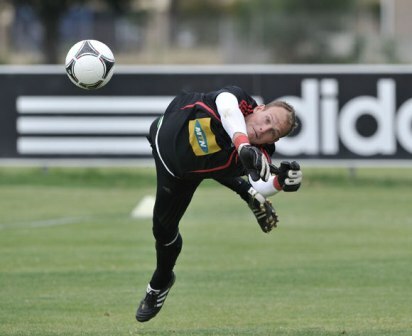 Now at Ajax Cape Town, he’s played with some of the best keepers South Africa has ever produced. Now challenging for the national team, expect to see a lot more about Sean Roberts over the upcoming season! 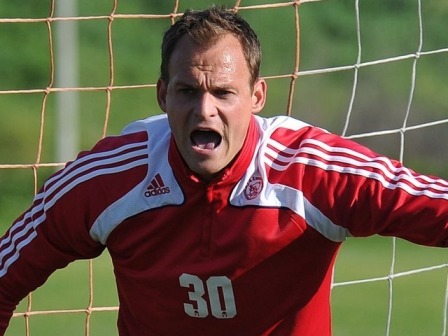 Dirk Vale sat on behalf of All Things Jabu to have a chat with the Cape Town shot-stopper. Dirk Vale (DV): Firstly thank you for chatting to us! What has been the biggest difference between the leagues in England, South Africa and Singapore? Sean Roberts (SR): I think a lot has to do with the mentality of the players in Europe. I don’t think the players are better in Europe I just feel they are more disciplined and have a stronger mentality! South Africa is similar to Singaporean league. DV: How did the opportunity come along to play for Home United in Singapore? SR: The reason I went to Singapore was because my coach Steve Darby from Sheffield Wednesday took me there. It was a great opportunity for me and would love to go back one day! DV: Away from football quickly, we believe you are a qualified Game Ranger – will we be seeing you taking Safari’s once your football career is finished? SR: Yes I’m a qualified game ranger. One of my dreams is to own my own game farm one day! I’m sure it will happen! DV: You can add us to your guess list! Back to footballing matters, what was it like being part of the national team set up? SR: Being part of Bafana Bafana was awesome! I’m hoping it’s the start of a regular place in the national set up. It was great to be recognized at that level and was a dream come true! DV: You have been competing with Sander Westerveld, a man with 6 caps for Holland, what has the experience been like? SR: Training with Sander is great for me. I can only learn from someone like him. I’m honoured to call him my friend off the field. Probably the most humble footballer I’ve ever met! I’m always asking him questions etc. Top man. DV: You were also up against legendary keepers when you were at Sundowns with the likes of Andre Arendse and Brian Baloyi in the same squad as you, did you learn a lot being in such a talented group of keepers? SR: Being at Sundowns was awesome, especially with Brian and Andre! We still remain great friends, I believe learning from those two has set me up for my future and winning the league there is still one of my highlights of my career. DV: And if we focus on this year now, what are your aims for the current season? SR: My aims this season is to remain first choice at Ajax, and hopefully win a trophy! DV: Having plied your trade in numerous destinations, is there any nation you’d still like to go and play in? SR: Would love to go back and play in Europe again! SR: You can ask any player from around the world who has played at Cape Town Stadium and they would tell you that’s the best – unbelievable stadium! Words cannot describe it! DV: You have also played with and against, who have you played against and with that has been a highlight for you? DV: And lastly, can you please tell us more about Skybound Capital and where the idea came from? SR: When I was injured I studied finance and noticed a need in this industry. A lot of my peers are earning good money but been given bad advice regarding how to invest it. So I joined forces with Skybound capital and now invest a lot of the player’s money for them. Familiar face who they can trust and I add value to them which is great. In the meanwhile setting up a business for me once I finished my football career! DV: Thanks for the chat Sean! We appreciate your time and wish you all the best for the rest of the season!